Firstly, I don’t by any stretch of the word, see myself as an ‘expert’. I know what I like, I enjoy eating out, I enjoy tasting new foods, and putting money back into local traders. I recently moved back to my home town of Norwich. Norfolk being best known for Delia Smith, mustard and of course the Canaries! I love the sunny town, and never quite realised how good I had it until I moved to Scotland. Needless to say, I feel like I am living in tropical climates with a consistency of a whole 18 degrees! WOAH! After coming across a little ‘Free lunch’ give away on Facebook @ revolucion de cuba, I figured I would book, and see. Giving me an excuse to venture away from my usual places and a chance to try somewhere new. I have to say, it may come across as absolutely awful, but it wasn’t. It just wasn’t great. Vibe: Overall impression of the restaurant was that it didn’t quite know what it wanted to be? The music was American 50’s electric blues crossed with Latin Merengue, the menu Spanish, and somewhere in the middle was Cuba (refrenced by a ‘Cuban Sandwich’ which took pride of place in the lunch menu). The Menu: Selection (on the lunch menu at least), was limited. 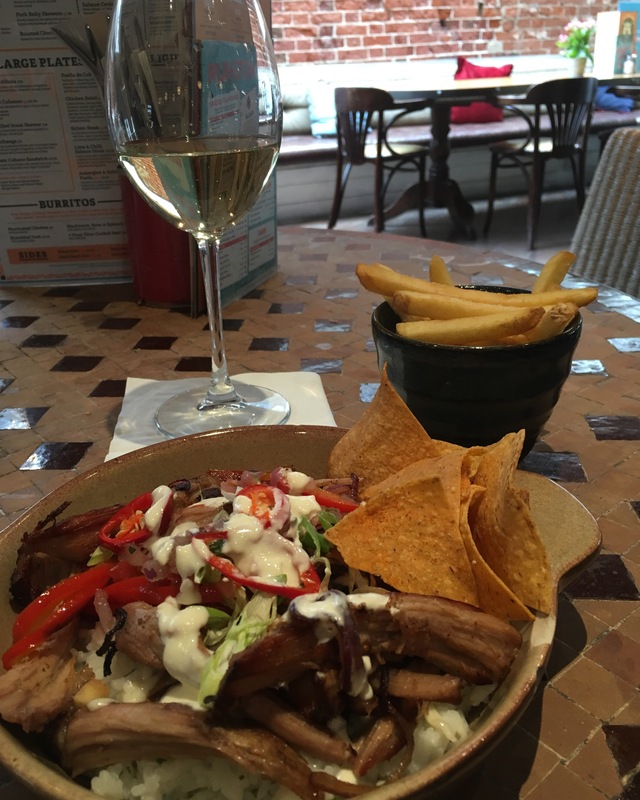 It appeared to be more mexican in nature and more akin to something that one would be found in Las Iguanas. The usual suspects Albondigas, enchalada and the Burrito can all be found on the menu. However, I struggled to see the connection between pulled pork and Cuban cuisine. The food: Presentation was very good, though fell short at the mutliple chips on my plate. 5 by my count!! Although the food looked good when it arrived, and appeared to be dressed with handcut veggies and in house prepared tortilla chips the meal was luke warm AT BEST. The food was serverely under seasoned, leaving me reaching for the salt sellar more than once – SOMETHING I THOUGHT NEVER TO HAPPEN! The black beans played a pointless addition to the dish hidden away by the under seasoned boiled rice and weren’t actually visible when the plate was put in front of me. Overall quality of food was quite good, I wasn’t hungry when I was finished and the chicken was seasoned with some kind of dry rub which was delicious. Service: Was seated immediately and pleasantly upon arrival. Service from the kitchens was SLOW considering the lack of covers for that time of day. However, front of house seemed to be on the ball with covering our drinks orders, and eventually when we requested the bill. ** I would like to mention at this point, the sneaky tactics used on the free promotional lunch menu. I believe this promotional menu was brought about to publicise Revolcuion de Cuba‘s new menu. When paying the bill it became apparent that the £2 surcharge (indicated on the menu), for either soft drink or a small glass of white wine was. ‘temporarily suspended’ if you decided to utilise the promotion. This resulted in your free lunch costing the total sum of my drinks which in my case was almost £10 for a glass of white wine and a soft drink. Yes £10 not being a lot, but you can’t help but feel slightly cheated. As a place to go out and drink at the weekend, probably yes. Yes, I would. However, dining wise… This would not be my first choice. Will be putting more reviews over time. Let me know your thoughts, or if there is anywhere in town that you would like me to try out.